Mrs Spice had a few very ripe bananas to use up today and so decided to show us how to make a Banana and Coconut Loaf Cake. Here is the scrummy recipe…. Preheat the oven to 180C/160C fan oven/gas 4. Grease a 900 g loaf tin with a little butter and line the base and sides with baking parchment. In a small bowl, use a fork to mash the bananas into a pulp. Set aside. In a large bowl whisk together the butter and sugar, using an electric hand whisk until light and fluffy. Continue to whisk and slowly add the eggs until combined. Then add the flour, baking powder, mashed bananas and coconut until combined. Spoon into the prepared tin and bake for about 45 mins until golden, risen and a skewer comes out clean when inserted into the middle. Cool in the tin for 10 mins, then remove to a wire rack. 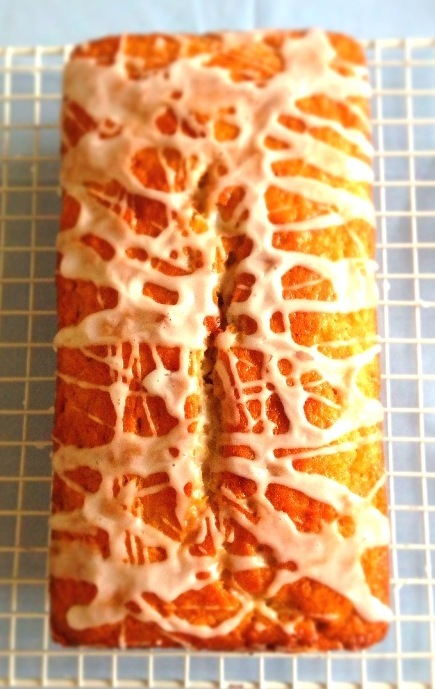 Mix the icing sugar with 2-3 tsp water to make a runny icing. Drizzle the icing across the top of the cake and leave to set.